Of all the components which characterise our houses, windows represent the thinnest part. 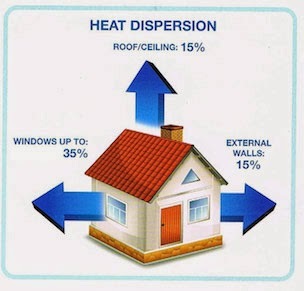 And in a normal house old windows can let even 35% of the interior heat escape. 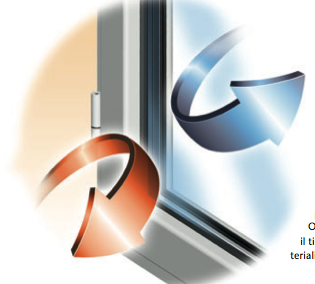 A savings of up to 70% can be achieved by replacing old windows with new top performance ones. It is important to view this replacement as an investment and not a normal purchase, since if correctly selected the savings from lower consumption will let repay the entire amount you spent, in just few years. Thermal Transmittance Uw (W/m2k) is simply an energy term which indicated a measurement of the amount of heat lost per square meter, in stationary conditions, due to a temperature difference. The lower its value the greater the thermal insulation of the window. Every window has its own Uw factor, since it varies based on the type of wing/frame used and the type of glass installed; therefore even if the same materials are used there will be a different value for each window measurement.